The tiny device that led to Peter Brock's sacking from Holden in the 1980s is back on a Commodore and heading for the road. An Energy Polarizer identical to the eighties originals - and built once again by Bev Brock - is part of the package on a new homage car from HDT Special Vehicles. The VL Retro Plus Pack Commodore is unveiled this week and company owner Peter Champion, a personal friend of the late race ace and owner of 45 Brock cars, says he has plans to build up to 250 cars in the series. The unveiling at Eastern Creek Raceway in Sydney includes a side-by- side display of the 2011 car and the HDT Director that triggered the split between Brock and Holden. The carmaker demanded that Brock remove the Energy Polarizer or it would not sanction the car while Brock said he would not build the car without a Polarizer. Brock was out in the cold for more than a decade, even racing BMWs and Fords during his exile, before being reconciled with Holden for the final phase of his motorsport career and his final Bathurst starts including his final event at Mount Panorama with the Holden Racing Team. The VL Retro is the latest in a series of homage models from HDT Special Vehicles, a company that Champion bought originally to close but then rebuilt under a new business model. It has created three previous retro models and even builds hotrod Commodores with supercharged 7.0-litre V8 engines and pricetags topping $150,000. "The VL retro is the fourth car in the series. We've had the VC, VH, the Blue Meanie and now we have this one," says Champion. "This car marks 25 years since Peter got the bullet. It is great to have it alongside the Director. A total of nine directors were built and mine is the one he actually unveiled." Champion says the Polarizer-equipped VL Retro is his idea and he always planned to have it with the device, which Brock said harnessed Orgone Energy to align the molecules in a vehicle. "The VL SS is probably the the most popular HDT car that Brock built," he says. "The Polarizer was my idea. The reason for that is that I couldn't do a VL Group A without it being a Plus Pack. And you have to do it with a Polarizer for it to be a Plus Pack car." The project has backing from Bev Brock, who retains a few original Polarizers and is happy to make new ones for the Champion cars. 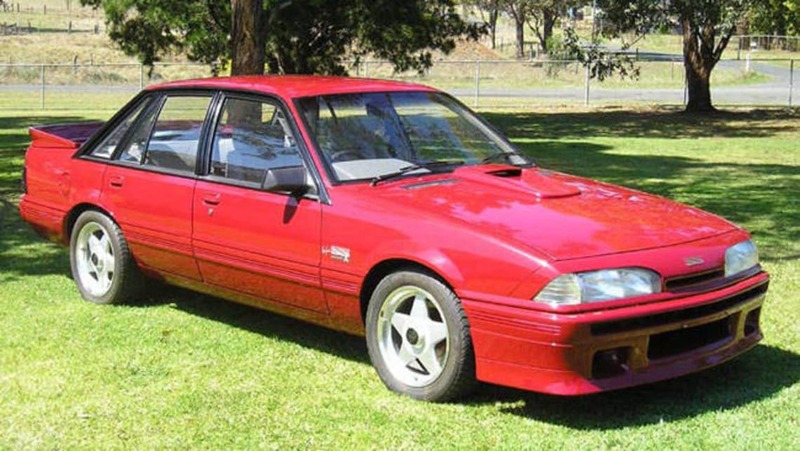 The VL Retro is based on a current VE Commodore, like the other models in the HDT Special Vehicles lineup, and owners must first buy a donor SS from Holden before it is converted. The work includes everything from a special body kit and mechanical upgrades to a re-spray in the Retro red colour. Champion says the VL Retro is the end of the road for the current HDT lineup, but not the finish for the company. "We've come a long way in three years," he tells Carsguide. "This is the last of the Brock Heritage series. Then we're going to start on our new ones, the Champion series."